First-edition cover, George Allen & Unwin, art by Tolkien (a heraldic device for Lúthien). Click the image for copyright info. Having put our son to bed, my wife and I were preparing to have Grendel’s favourite snack* with a cup of tea, and discussing our relaxation plans for the evening. I said I wanted a cup of tea because I was almost done The Silmarillion. She said she was impressed. It’s not that impressive that I’ve read all those other boring because I had to read them. But she tried The Silmarillion and didn’t finish. Or was that three times? I have to say, it takes a particular kind of Tolkien fan to like this more than The Lord of the Rings or to be really, really excited about re-reading this book. The Silmarillion is a hard book to get into, especially if (as on my first try) you mistakenly think it is a novel. It is not. It is less of a novel than The Lord of the Rings (Tolkien denies that LotR is a novel, FYI). This is big mythology written in faux-archaic English from the creation of the world to the end of The Lord of the Rings. (By far, the best faux-archaic English I’ve read yet.) It was edited by Christopher Tolkien (with help from Guy Gavriel Kay) out of the various versions and notes of his father. 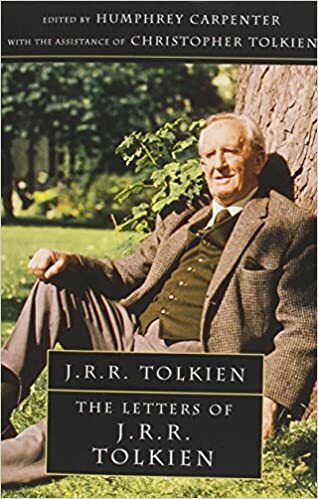 The elder Tolkien had intended to get this published, but when he brought it to his publisher, he was told to do something more hobbity instead (so we got The Lord of the Rings, praise Ilúvatar!). That is to say — however difficult this book is, unlike some (most? much? all?) of the other posthumous disiecti membra doctoris Christopher has inundated us with over the years, some version of this was meant to see the light of day. Anyway, this probably makes me seem like I’m down on The Silmarillion, and all the people who do ‘philosophy and fantasy’ or ‘theology and fantasy’ or ‘Tolkien and Northernism’ or what-have-you are preparing to troll me. I’m not. I really, really like the first few pages. After that, there is a certain amount of slogging to get through to bits that I liked. Interesting stories — like making the trees of light in Valinor, or Melkor riding Ungoliant to undo what the Valar do, or the creation of the Dwarves, or the departing of the Noldor for Middle Earth, or the fight that one guy with a forgettable name had with Morgoth and cut off his foot, or Beren and Lúthien, or the fifth battle against Morgoth, or parts of the extraordinarily long and depressing tale of Túrin, or Earendil, or what-have-you — simmer in the midst of a barrage of names and long non-descriptions of imaginary places that are mostly names of rivers and mountain ranges and the points of the compass with no maps to help. The interesting stories and parts of stories are really interesting, though. Don’t get me wrong. I even get the depressing ones. In fact, you can see the unsurprising interweaving of Tolkien’s Catholicism and his Anglo-Saxon/Norse philology in some of the depressing parts (which is to say, they have interest!). In The Silmarillion, even the evil, even the discordant notes, works as part of the harmony of the whole — somehow. What Melkor/Morgoth intends for evil, Ilúvatar will have turn out for good in the end. That is Catholic. Augustinian, even. But all joy is tinged with sorrow. Happiness has a cutting edge of grief. The elves are fair and wondrous, but also sad. This sort of sorrow runs through a lot of Anglo-Saxon literature. All of this to say — I enjoyed The Silmarillion overall, whether I can pronounce the titles of its different sections or not. In the end, I do have mixed feelings about The Silmarillion. Basically, I feel as though, if I’m going to put this much effort into a book, I’d rather it be actual ancient mythology, and not a philologist’s dream-child. I like it, but I feel that the reward may not be worth the effort of a second reading — for me, at least. Those of you who revel in this book and drool over your print-fresh copies of The Fall of Gondolin — have at it. This entry was posted in Books, Christianity, Literature, Mythology, Science Fiction and Fantasy and tagged christopher tolkien, guy gavriel kay, j r r tolkien, silmarillion, the lord of the rings on October 22, 2018 by MJH. The Hobbit is one of my favourite books. I used to say that it was my favourite, but as the years go by and I read more books, it becomes harder to say which of them ranks number one. It depends on the day, really. Nonetheless, it is one of my favourite books, and it is a novel. A magnificent novel, in fact. Some people think certain bits of it childish. And what of it? That is part of the charm of The Hobbit. This is an adventure story set in Tolkien’s mythic world, and it ties into that world in a few ways, but it is largely about the adventure — it gives us a hobbit’s-eye view from Hobbiton to the Lonely Mountain and back again. And the heart of a good story is the story (Tolkien said so, in ‘On Fairy Stories’). 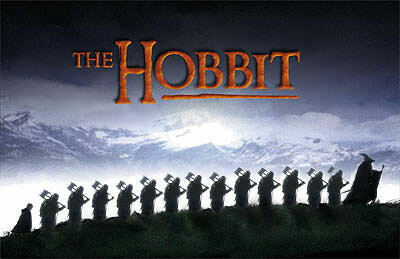 Tolkien has provided us with a wonderful, fun story. High adventure is all the novel was meant to provide. And it does so with aplomb. And the centrepiece, if you ask me, is the Lonely Mountain. It is Smaug, the wyrm. Not central to this story is where on earth Gandalf has got off to. Something to do with some person called the Necromancer who lives in Mirkwood. This is part of the wider world of the setting of the novel, but it is non-essential to the action and plot of The Hobbit. If Peter Jackson wishes to include the Necromancer in his films, that is all fine and well with me. It will help draw the connection with The Lord of the Rings, as will, of course, gollum, gollum — who is an integral part of The Hobbit. But to use the 125 pages of appendices to take a face-pasted, high-flying adventure that Tolkien was able to tell in less space than any of the three volumes of The Lord of the Rings and make it into a film trilogy is no longer to tell the story of The Hobbit. It is to take the prelude to The Lord of the Rings and make it a prequel, giving on-screen, visual answers to questions we already know the answers to. As well, three films will give him unwarranted opportunity to expand the Battle of the Five Armies, an event that takes fewer than 20 pages (10? I forget) in my copy of the novel. The battle is not the most important part of the story. Bilbo is, and he is unconscious throughout most of it. But we have already seen in The Two Towers and The Return of the King that Jackson likes to draw out his battle scenes unnecessarily. What I think we are seeing here is not simply a difference between the ‘mature’ storytelling of The Lord of the Rings and The Hobbit with an attempt to reconcile it with the whimsy that guides so much of The Hobbit, but a difference between types of Tolkien fans. There are those who are Middle Earth fans. They read the original four novels and gobbled up The Silmarillion when it appeared. Unfinished Tales and The Book of Lost Tales kept them happy. They read every volume of Christopher Tolkien’s History of Middle Earth and then The Children of Hurin. These are the fans who learn Elvish and probably write fan fiction. These are a good breed of fan, and I am happy to have them around. They are absorbed in the world of Tolkien’s mythology and very clever, with an eye for detail and precision in interpretation that is often unrivalled by other readers. I am one of the other readers. I am a fan of Tolkien’s writings, especially his novels. What The Lord of the Rings and The Hobbit do that none of the other Middle Earth writings do, is set a story, a modern novel, an adventure, in the midst of a grand sweep of epic proportions, blending verse and prose, high adventure and deep themes in a tight, well-knit plot that has been worked and reworked, both in terms of story and of style. This love of the writing itself drives me to read Farmer Giles of Ham, Tree and Leaf, and Tolkien’s translation of Sir Gawain and the Green Knight. I also read The Legend of Sigurd and Gudrun (I blogged about it here), partly for Tolkien’s poetic ability, partly from a love of Norse mythic/heroic tales. As a member of the second of these two categories, what matters to me is the story of the novels, not the rest of the history of Middle Earth. To say that The Hobbit is sparse on these details and needs supplementing is like saying that Captain America was sparse on details about Hitler and WWII and needed supplementing. *The important thing about rereading a book before a film is not to read it less than a month prior to the film. The experience will ruin both film and novel. This entry was posted in Books, Literature, Movies, Science Fiction and Fantasy and tagged hobbit movie, the lord of the rings, tolkien on July 28, 2012 by MJH.